Home >> Opinion >> Trump Truly Is On A Mission From God!!! 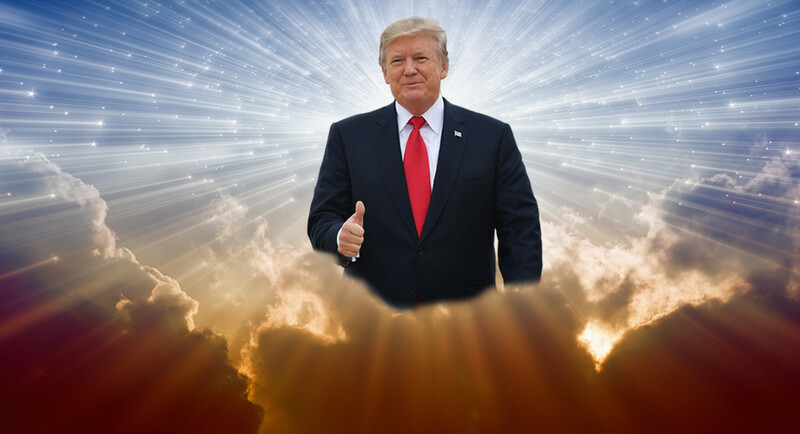 Trump Truly Is On A Mission From God!!! 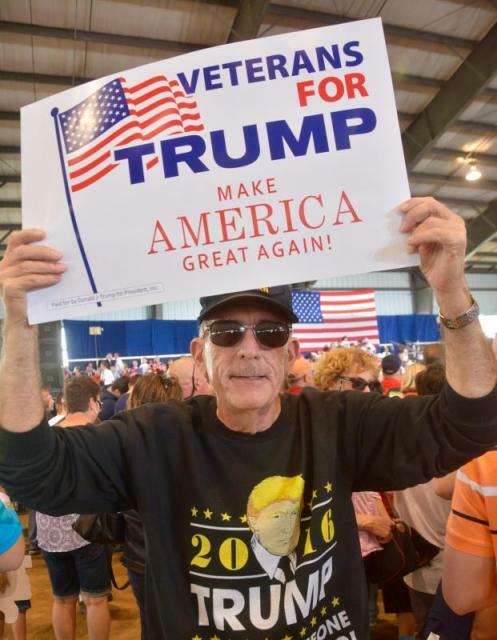 Posted by: Jim Clayton in Opinion, Trending Commentary November 6, 2018	Comments Off on Trump Truly Is On A Mission From God!!! In the movie, The Blues Brothers John Belushi and Dan Ackroyd played two blues musicians who said they were “on a mission from God.” Well, I believe Trump is truly on a mission from God to fix this country and get it back on the right track. How else can you explain everything that is happening? From the first day he and Melania came down that escalator in Trump Tower, the entire media was against him, the entire democrat party was against him, half of the Republican party was against him, they rigged an election to be against him and he still won. After he got in office they threw everything in the book at him and hit him with abuse after abuse including this phony fairy tale of Russian collusion and nothing sticks. Since he got in Trump removed the shackles of big government control from us and by eliminating 800 of Obama’s job-killing regulations he freed us to be the best we can be. He has lowered the business tax from 35% to 21% and lowered the small business tax from 21% to 15% thus causing businesses to hire more and businesses overseas are coming back here to build. U.S. Steel is coming back and building six brand new plants here, car companies are coming back and building plants in North and South Carolina, Ohio, Indiana and Pennsylvania. Trump’s policies have created 4 million jobs in 20 months. Obama was minus four million in the same time in his administration. Out of those jobs, 650,000 are manufacturing jobs and 32,000 were just created in October. That means 1000 manufacturing jobs a day. These are the jobs Obama said were never coming back, “What’s Trump going to do? Wave his magic wand?” Obama said sarcastically. Well I guess he found the magic wand because now they are all coming back. The economy is roaring and the best economy we’ve ever had. African American, Hispanic American and Asian American unemployment is the lowest in history, women ’s unemployment is the lowest in 65 years. Unemployment in general is the lowest in 50 years. More people are working than ever before and there are more jobs available than people looking. Our GDP has risen to over 4.2% after Obama said we would have to get used to seeing 2.5 % as the new norm. Trump has issued a massive tax cut where a single person has a $12,000 tax deduction and a married couple has a $25,000 tax deduction and he is issuing another 10% tax deduction for the middle class. Recently 250 companies gave their employees one and two thousand dollar bonuses that Nancy Pelosi called “crumbs” and now the Dems want their crumbs back. Trump also lowered the FICA tax so people will have more money in their paychecks and lowered the tax on all wine and beer products. Recently Trump had rock and country and soul stars Mike Love from the Beach boys, Kid Rock, Sam Malone from Sam and Dave and country singer John Rich from Big and Rich at the white house to sign legislation that would give them the back royalties they were owed that managers and record companies etc. kept from them. When Trump went to Asia he was the first president to visit and dine in the Forbidden City and made 300 billion dollars in deals that will benefit both countries. Before Trump became president China and North Korea were planning on going to war with us, our military was depleted to pre-WW11 status and Kim was firing missiles over Japan and Guam and building nukes. Trump was able to diffuse that situation and met with kim and now he is denuclearizing. 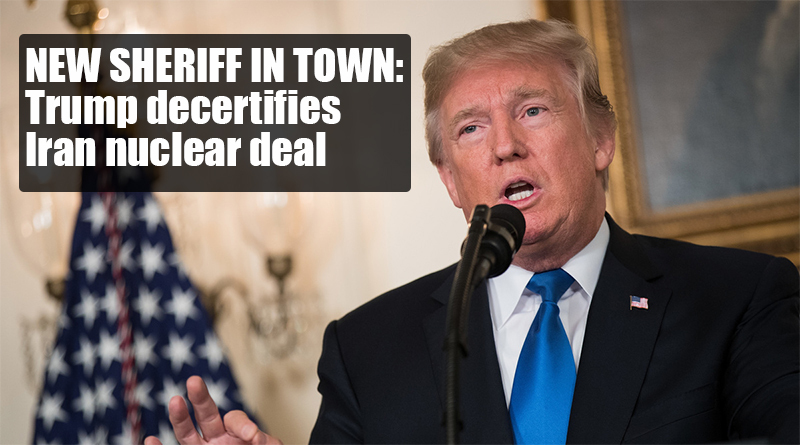 Trump also decertified the horrendous Iran deal Obama got us into and froze all Iranian assets and put sanctions on them. Trump is building our military to be the biggest and best yet and has ordered the Pentagon to go ahead with plans for the fifth branch of our military, known as “The Space Force.” He has also arranged for our vets to be able to see their own doctor and the government will pay for it rather than having them wait weeks and months to see a VA doctor. Trump also called the heads of the pharmaceutical companies to have them lower the cost of prescription drugs. Remember when protestors in past administrations protested against the Keystone pipeline? Trump got it going and created 43,000 jobs because of it. Remember when they protested drilling in Anwar? Trump has them drilling there now. When Trump has his rallies like he was doing all this and last month he would get tens of thousands attending. So many that they would have giant screens outside for the overflow. When he was in Houston over 100,000 attended. There were 21,000 on the inside and another 80,000 outside watching him on a giant screen. 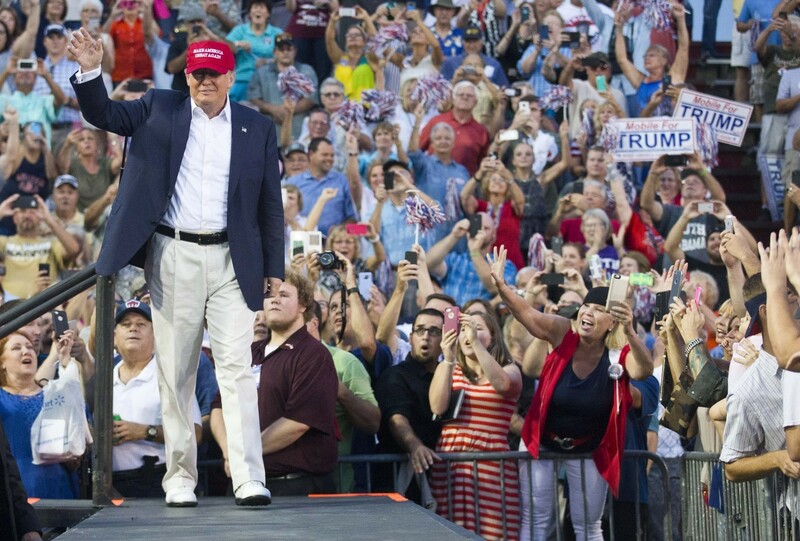 Last week when he was in Ohio he had a rally at an airport hangar where several thousand attended and they had to fill another hanger for the overflow. He attracts more crowds than most rock stars. This is a movement like no other and is unprecedented. This is only part and partial of over 280 accomplishments Trump has accrued in just 20 months, more than all the presidents put together. Yes, Trump truly is on a mission from God. How else can you explain it otherwise?